For families who suspend other Summer fun until August and prioritize baseball, the LBL offers a Competitive League. The premier competitive league in Northern Colorado features over seventy teams with Age Divisions nine years old through fourteen years old. 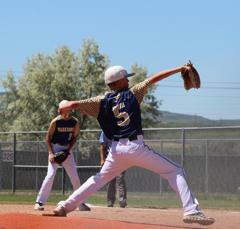 Teams compete in communities throughout Northern Colorado and may travel to Fort Morgan for a Double Header. Games are played primarily on weeknights to facilitate weekend tournament play. Teams register as Longmont or Out of Town teams. Out of Town teams originate in; Fort Collins, Greeley, Windsor, Boulder, Berthoud, Fort Morgan, et al. Teams play half their schedule at home; half on the road. 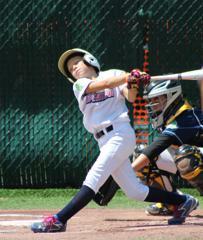 The LBL offers a continuum of competitive baseball levels. AA for those getting their feet wet and learning the ropes of “travel baseball”. AAA for more experienced and adept teams. And, Majors for families interested in the experience of performance-based play with a priority on player performance and winning. All levels are USSSA sanctioned. Teams may practice two or three times per week in addition to playing games. 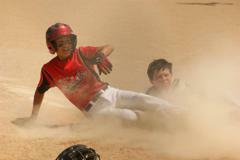 Travel teams play January through July and may play Fall Baseball. Teams begin indoor practices in the winter months, teams move outside on March 1st, and league game will begin the first of April. League games are primary played Monday - Thursdays. AA games may be played from Longmont to Windsor to Fort Morgan. AAA games may be played from Longmont to Cheyenne, WY. Tournaments are played on the weekends and are usually played along the Front Range but may require travel and hotel stays in various locations in and outside of Colorado. The estimated cost per player is $800. This cost will cover the registration fee, uniform and tournaments. Some teams may be involved in fundraising to help offset costs. How long have you coached competitive baseball? What is your coaching background? What was your team’s record last season? What level is your team going to play? Have you ever been ejected from a game? Does your team play tournaments and where?